I love McDonald’s – and I’m not just saying that because they pay my salary. The filet-o-fish, with a small fry and water is my usual choice, but sometimes I branch out and get a cheeseburger (no pickles, no onions) or Chicken Selects or the Crispy Chicken Club sandwich… or (gasp) a McRib when they are available. 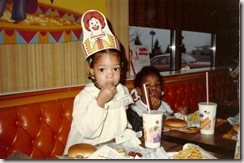 I have always been a fast food junkie (see pics below for evidence of my early love affair with Ronald McDonald) and realistically, deep down inside, I believe I always will be. That being said… my love for eating out and my distaste for working out, means I have to focus on one very important word – BALANCE. That’s right. I am one of those “eat what I want” people. 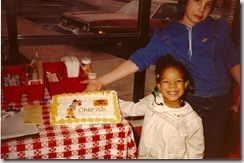 But now that I’m 30 and my metabolism is about 75, when I eat out, I aim for smaller portions of fried (yummy), creamy (heavenly) and high fat foods (more fat usually tastes better)… and then I balance them with larger portions and more frequent “meal swaps” with entrees and snacks that are of fruits and vegetables. This year I decided to kick it up a notch and learn about Raw Food diets. No, I’m not leaving the work of meat and heat… but I was interested in learning more about food options and their benefits. So I went to Chicago’s guru of raw foods – Karyn Calabrese. 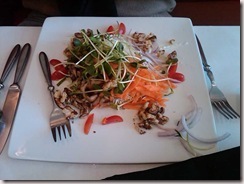 Karyn owns 3 restaurants in Chicago, one of which is the city’s first raw food restaurant. You heard me. A menu full of uncooked items that will trick even the smartest of foodies. Poor Bobby took me to Karyn’s Raw Café for lunch, not believing me when I said there is no cooking – as the menu sounds like any normal boutique restaurant in the city. I ordered the “Ravioli” and he ordered the “House Salad”. The flavors were interesting. In some ways its all tasted like “salad”, just varying types of salad. Overall it was good (though quite pricey) and we could “feel the benefits” as our stomachs digested all the healthy veggies shortly after. We went on a Saturday afternoon and the atmosphere was nice and calm and the presentation was very pretty. We stayed after our lunch for a 2.5 hour presentation by Karyn herself on her lifestyle as a Raw Foodist/Vegan/Entrepreneur. It was interesting to say the least. We were able to try a few food items, and I’d just say, I’m not converted and only liked 3 of the 6 items. While those three items were really good, when we left, I was starving and begging for a carb. Bobby wouldn’t satisfy my requests to stop and grab a Big Mac, he felt it was too soon after we had educated ourselves, so we went by his spot and made some of the healthiest tacos you’ve ever seen. I’m definitely interested in checking this place out again, but it seems like I might have to save up, cause that lifestyle is NOT CHEAP! 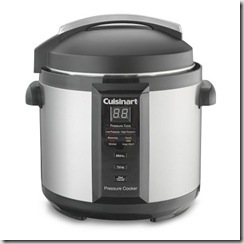 My item of the day, since we’re talking about food, is the Cuisinart Pressure Cooker. I can hear you know… “What the heck is that?? ?” (Ok, if you’re not saying it I am). I have no idea what this thing does but it looks AWESOME. The geek in me wants this on my kitchen counter now. I have never cooked most of the things it claims to be perfect for (gnocchi, pot roast, short ribs) but I bet if I had one I’d be a roast queen in no time! 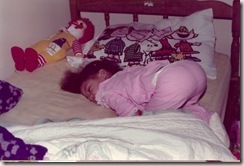 I am the product of two Black parents…. but I swear there has to be some Latin in my blood, based on the way I obsess over the food. 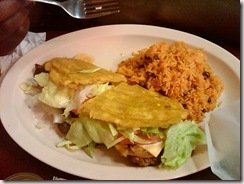 Here in Chicago, we have a number of places that claim to have the best JIBARITOS, and after trying out a few, we’ve found our A+ spot – Papa’s Cache Sobroso in Humboldt Park (with the jibarito originator “Borinquen” pulling a close second for the sandwich, but taking #1 for mofongo in Chicago). After a few regular trips, it got me to thinking…. 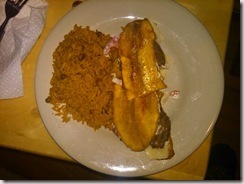 can I channel my inner imaginary Puerto Rican and make this dish myself??? Hmmm…..Why not try??? 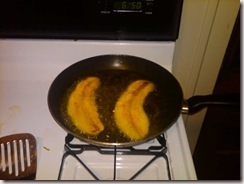 The hardest part was the research on cutting and frying the plantains… oh, and seeing the amount of oil that I had to use. LOL (don’t ask for nutritional content on this sandwich, I have convinced myself it doesn’t exist). In the end, my version came pretty close visually and the flavor was really good!!! I’ll definitely have to add this to my successful recipe list! The item of the day, since I’m in a cooking mood, is something I have no room for in my kitchen but sure plan to get one day….. A couple of years ago my cousin found a great recipe a while back for potatoes au gratin that included Jarlsberg and Raclette cheeses (both of which were expensive and difficult to locate among the abundance of cheeses in Whole Foods). This was the BEST side ever. Half of the fun was in making it, and I had the job of potato slicer. 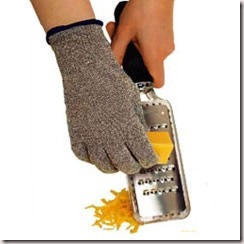 In my kitchen this would be dreadful, with my somewhat dull knives and shaky hands. But in her kitchen I learned about a “mandoline” (a.k.a. 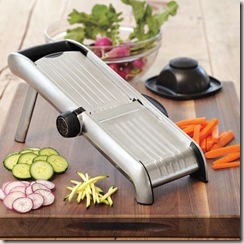 “slicer”)… talk about amazing! 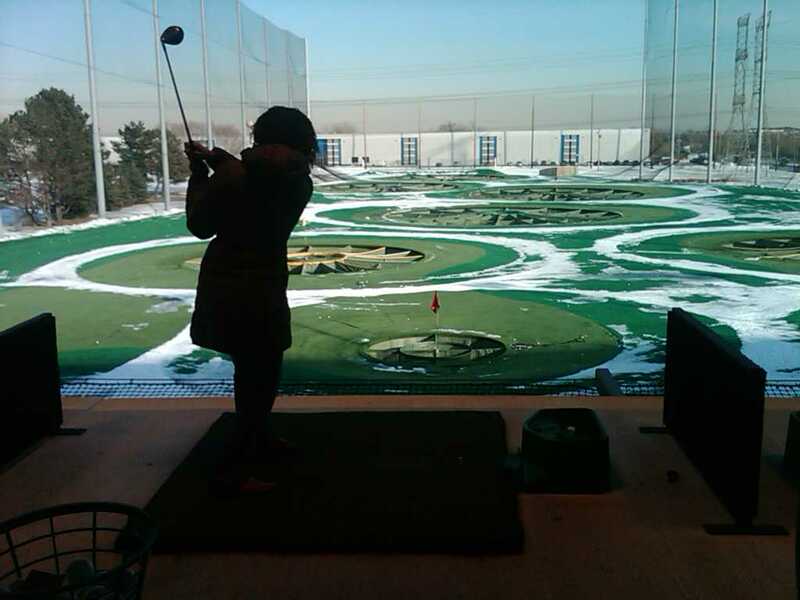 My department’s Holiday Party included an outing to Top Golf in Itasca, IL. While I own a set of nice clubs and a pair of cute Nike golf shoes, I’ve never actually used the clubs on a course and the shoes have never been worn. Needless to say, golf is not “my sport”. I must admit, despite the 20 degree weather (as you can see, this involved being outdoors) there were electric heaters all over the place and the hot cocoa was flowing! The food was actually really good (I admit, I wasn’t expecting that from a driving range) and the concept of balls with microchips to assign points based on where you land made for a fun, competitive afternoon! 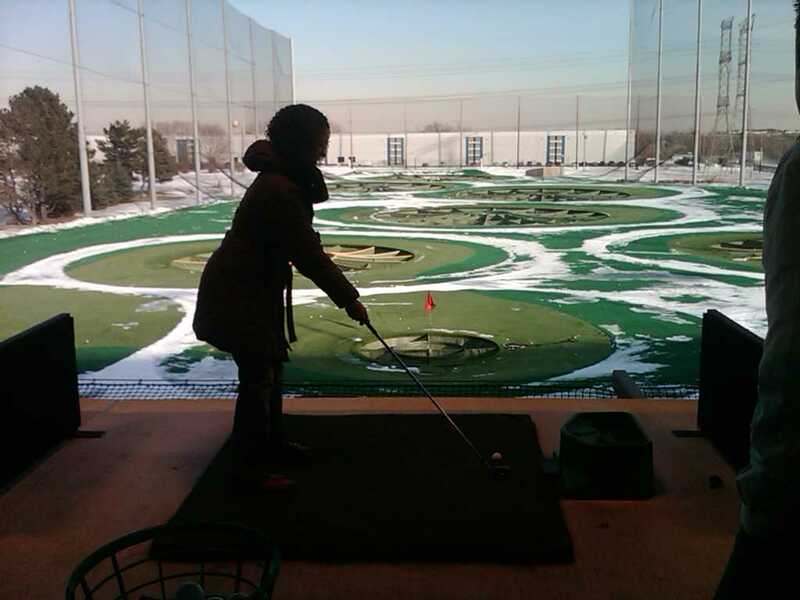 I’ll definitely be going back, with my own clubs…. Only next time it will be in the spring! Thursday nights also feature salsa lessons (in the middle of the dining floor) at 7:30. There were quite a few couples out there having a good ol time on the dance floor!! Great choice for a date or even just for dinner and drinks with friends! **Tip: RSVP by phone and ask for the booth seating to get a good view of the dance floor! I haven’t posted an item of the day in what seems like FOREVER! So today’s item of the day is the MARC JACOBS Camille large leather tote for only $1,850 on net-a-porter. This bag is sooo perfect for a working woman, much like myself, who wants to carry her items in a stylish, timeless bag. Its out of my “current” budget.. but who knows. Maybe one of these Powerball tickets will hit and I’ll order it tomorrow 🙂 or maybe not… Have a good one!! 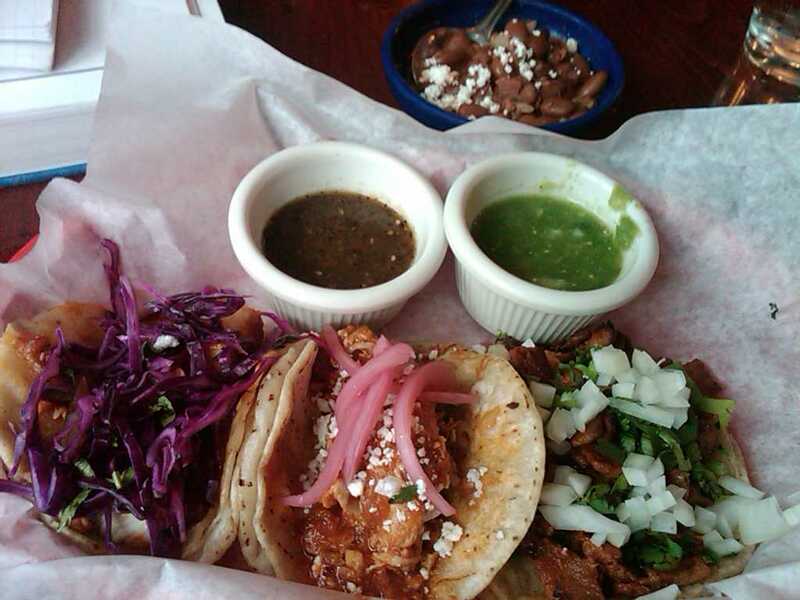 Great times at Zocalo, Café Iberico and La Fonda del Gusto this weekend! 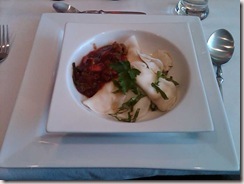 Rather than posting twice, I’ll just direct you to ChiLanta Foodies where you can check out the pics and review…. 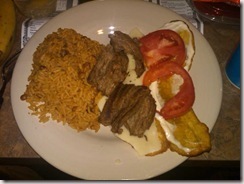 Also check out my previous post on “A Taste of Brazil” in Oak Park, IL. 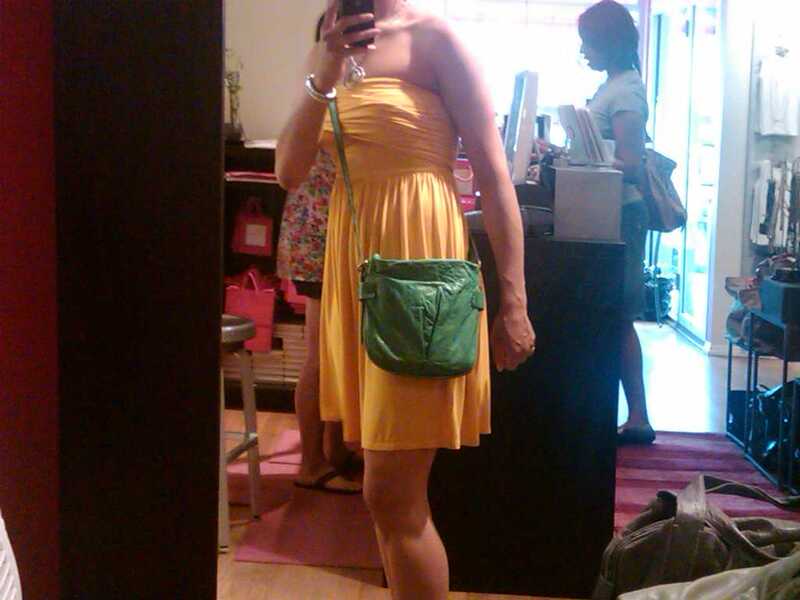 Found this awesome, super-soft Mini Convertible Hobo purse by 49 Miles at SheBang in Bucktown/Wicker Park (Chicago)… Love the green color!!! Adding it to my summer wish list! I managed to snag this adorable 5 strand crystal headband by Deepa Gurnani along with a pair of delicate silver flower stud earrings. This boutique definitely makes my Top 10 List for Chicago!! My line sister KMarie sent a text today asking me for 2 of my favorite children’s books. I didn’t ask her about age groups or ethnic backgrounds of the children in question. but instantly brought up the two books that ALWAYS come to mind first: Aida and Mufaro’s beautiful Daughters. Aida is a story line that is great for middle-schoolers, while Mufaro’s Beautiful Daughters is great for preschool and younger elementary school-aged children. I had the pleasure of seeing Aida on Broadway in New York in 2003(? ), when Elton John and Tim Rice collaborated to create this awesome musical based on the storybook version of Giuseppe Verdi‘s Italian-language opera with the same name. The illustrated storybook was written by Leontyne Price, who is an American operatic soprano best known for the title role in Verdi’s Aida. When I was able to see the musical, the leading role was played by singer Toni Braxton. (Over its run, the musical has also included stars such as Michelle WIlliams of Destiny’s Child, Heather Headley and Deborah Cox). By the end of the musical I was in tears! It is such a great story and seeing one of your favorite children’s books come alive on stage is such an amazing feeling! I read that the final performance in NYC was in September of 2004. Maybe it will come back there or in another city and I can see it again?! (PS, you can click the performers’ names to see videos of their Aida performances). If you know any young children that like to read, you should definitely check those out! Be sure to check out the other items from Chicago designer Kirsten over at Objets d’Envy! Click below to go right to Amazon and purchase the books or the Broadway CD of Aida! 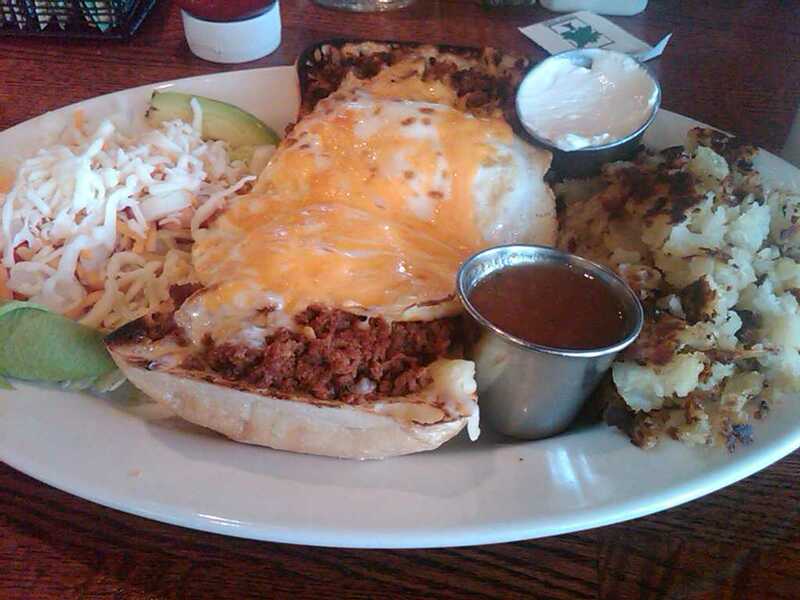 The Mexican Breakfast “Sandwich” at Eggstacy in Oak Brook – they could have kept the bread and piled everything else (except the onions) onto the breakfast potatoes! The chorizo was good, potatoes were tasty, salsa was just right, and I love the avocado slices they added! 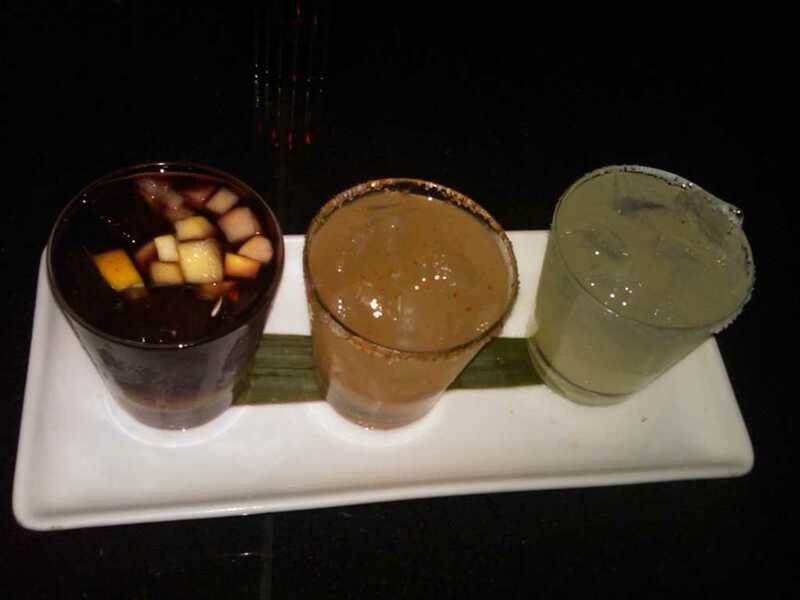 “The Margarita Flight” at Zocalo in River North – Not for the faint at heart. It was so great I had to write a review on Yelp. The drinks were STRONG and the portions were enough to induce a nice, strong “buzz”! Let’s see if anybody gets bumped off the list this summer!!! Check out more pieces and get directions to the gallery here.